Abstract: Since 1973, the IEEE-USA government fellowship program has sponsored more than 120 U.S. IEEE members to work for one year as advisors to Members of Congress, the State Department, or USAID. These IEEE-USA fellows are part of a larger science and technology fellowship community in which many professional organizations – representing the full spectrum of physical, mathematical, engineering, biological, and social sciences – sponsor fellows in congressional offices, and in almost all federal agencies. IEEE fellows (and science and technology fellows in general) are highly respected and in great demand on the hill. Many fellows remain in public policy (including a few who have run for Congress), while others use the experience to remain engaged and advance their own careers after returning to their academic or institutional positions. 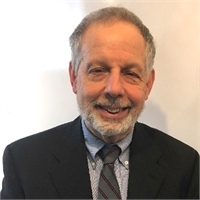 Biography: Elliot Eichen retired as Director of Research and Development at Verizon, and Adjunct Facility at Northeastern University in 2017. He has been a Visiting Industry Professor (optics) at Tufts University, Associate Editor of Photonics Technology Letters, program/conference chair for multiple conferences (including OFC, and the IEEE Optical Amplifier Conference), staff member at MIT, and served on grant committee for the NSF. He is author or co-author on more than 40 peer-reviewed publications and about 60 US Patents. Student’s of Dr. Eichen are employed by all of the of the major US carriers and ISPs, many equipment and communication systems providers, and by multiple startups. Dr. Eichen received a B.S in physics from SUNY Stony Brook, and Ph.D. in optics from the University of Arizona.